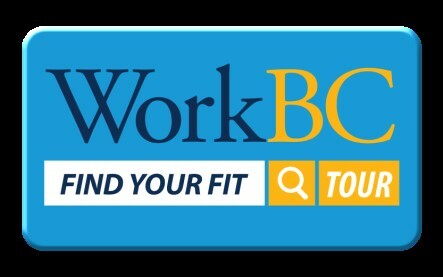 The WorkBC “Find Your Fit Tour” is a fun and interactive student-based career exploration event taking place at our Caledonia Secondary School gym on Wednesday, November 21, 2018 from 8:45 a.m. to 3:12 p.m. for students and teachers, and from 3:45 p.m. to 7:00 p.m. for students, parents and community members. Drop in and explore the program and discover how to ‘find your fit’ for a career! Everyone is welcome to the after-school event between 3:45 p.m. and 7:00 p.m. on November 21. There is no cost for attending this event and everyone who attends receives a free WorkBC student notebook. During the career exploration event, students jump right in and try the skills they will need for different careers in demand across the province. This hands-on event will help students apply real life experiences to their career planning, and connect with WorkBC’s labour market information, tools and services. Parents and community members are welcome to attend the evening event, as they look for ways to educate and support their children in their career exploration.